Zoya has long been one of my favorite nail polish brands, because they have never included any of the nasty chemicals prevalent in so many other brands, but lately they've become one of my favorite lipstick brands as well. The colors are highly pigmented, super creamy, and relatively long-lasting (for not being a longwear specific product.) 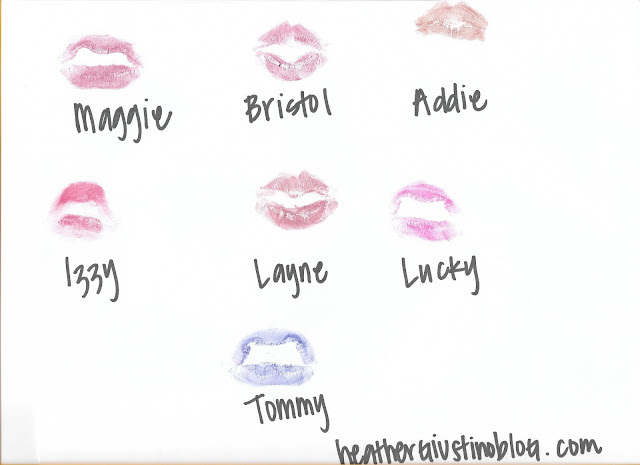 Recently they sent me their new lipstick colors, that correspond with their Sophisticates collection. They are all just perfection! My personal favorite from this collection is Layne - the most beautiful warm, rosy color. Perfect for everyday. For a more kicked up look I'm in love with Bristol - which is almost the color of cabernet wine. Coco's favorite was the bluish purple, Tommy. It looked really fun on her for dress up! And Leila's favorite is Lucky - a pretty hot pink! Have you tried Zoya's lipsticks yet?! I can't recommend them enough!